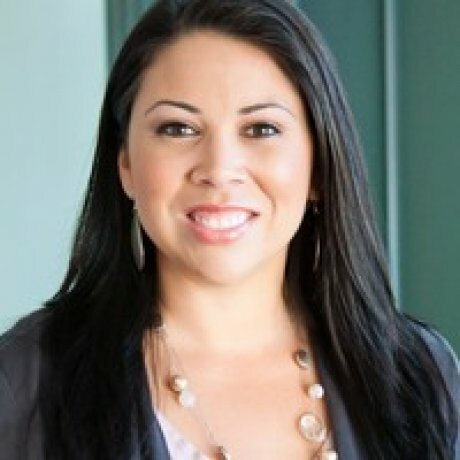 Stephanie Alvarez earned her PhD in Spanish from the University of Oklahoma. Alvarez is an Associate Professor of Mexican American Studies School of Interdisciplinary Studies & Community Engagement at the University of Texas – Río Grande Valley College of Liberal Arts. At Pan American University, she was the founding director of the Mexican American Studies program (2009-2013) & Center for Mexican American Studies (2011-2013). Alvarez is the co-editor with William Luis of The AmeRícan Poet: Essays on the Work of Tato Laviera (2014). Her research intersects in the areas of Latin@ identity, language, literature, culture, education and empowerment and has appeared in various edited volumes and journals such as Hispania, Journal of Latinos and Education and CENTRO: Journal of the Center for Puerto Rican Studies, among others. Alvarez is the recipient of the American Association of Hispanics in Higher Education Outstanding Latina/o Faculty Award (2011) and the University Of Texas Board Of Regents’ Outstanding Teaching Award (2009). The AmeRícan Poet: Essays on the Work of Tato Laviera. CUNY: Center for Puerto Rican Studies Press (2014). “Braceros, Mexicans, Americans, and Schools: Reimagining Teaching and Learning in Mexican America.” with Francisco Guajardo, Miguel Guajardo, Samuel Garcia, Jocabed Marqués and José Ángel Guajardo. Río Bravo: Journal of the Borderlands. 23.1 (2014): 9-41. “Gloria Anzaldúa: Nuestra Gloria, Nuestra Heroína Fronteriza / Our Glory(a), Our Borderlands Heroine; An Exhibit at Anzaldúa’s Alma Mater” with Stephanie Brock, Janie Covarrubias, Lauren Espinoza and Orquidea Morales. In El Mundo Zurdo: Selected Works from the Meetings of The Society for the Study of Gloria Anzaldúa. Eds. Antonia Castañeda, Larisa Mercado and Sonia Saldívar-Hull. San Francisco: Aunt Lute Books. 2014. 123-139. “Foreword” The AmeRícan Poet Historian: Collected Essays on the Works of Tato Laviera. Co-edited with William Luis. New York: CUNY. Centro de Estudios Puertorriqueños Press, 2014. xi-xiii. “Introduction.” Laviera, Tato. King of Cans in The AmeRícan Poet: Essays on Tato Laviera. Eds. Stephanie Alvarez and William Luis. New York: CUNY. Centro de Estudios Puertorriqueños Press, 2014. 342-43. “La palabra, conciencia y voz: Tato Laviera and The Cosecha Voices Project at The University of Texas-Pan American.” With José Luis Martínez. In The AmeRícan Poet Historian: Collected Essays on the Works of Tato Laviera. Co-edited with William Luis. New York: CUNY. Centro de Estudios Puertorriqueños Press, 2014. 204-236. “Tato in His Own Words–A Collaborative Testimonio.” With Tato Laviera. In The AmeRícan Poet Historian: Collected Essays on the Works of Tato Laviera. Co-edited with William Luis. New York: CUNY. Centro de Estudios Puertorriqueños Press, 2014. 288-324. “De conciencia mestiza a conocimiento; La evolución teórica fronteriza chicana de Gloria Anzaldúa.” with Cynthia Pacaccerqua. Noticias del diluvio. Textos latinoamericanos de las últimas décadas. Eds. Gabriela Tineo y Mónica Marinone. Universidad Nacional de Mar del Plata: Mar del Plata, Argentina. 2013. “Subversive English in Raining Backwards: A Different Kind of Spanglish.” Hispania. 96.3. (2013): 444-459. “Evaluating the Role of the Spanish Department in the Education of the Latin@ Student.” Journal of Latinos and Education. 12.2 (2013): 131-151. “Braceros: A Legacy of Triumph.” co-produced with Christian Ramírez. 2012. “Hunger of Memory. The Education of Richard Rodriguez.” Masterplots. 3rd Edition. Pasadena: Salem Press, 2011. 2751-2753. Cosecha Voices. Bilingual website documenting the lives of migrant farmworker students. co-created with Orquidea Morales. 2010. “Crossing y tejiendo borders: Una conversación multilingüe con Tato Laviera.” Coauthored with William Luis and Edna Ochoa. CENTRO: Journal of the Center for Puerto Rican Studies. 22.2 (2010): 2-16. “Esmeralda Santiago.” Encyclopedia of American Immigration. Ed. Carl L Bankston. Pasadena: Salem Press. 2010. 922-23. “Incorporating the Migrant Experience in the Classroom to Impact Student Success: The Cosecha Voices Project Model.” U.S. Department of Migrant Education Conference: Success through Service. November 15-17 2010. San Marcos: Omnipress, CD-ROM, 2011. 1-23. “La(s) mirada(s) y lengua(s) aviesa(s) del bilingüe: El caso del poeta nuyorican Tato Laviera.” La página. Ed. Iris Zavala. 83.84.85 (2010): 17-48. (Expanded version and translation of “¡¿Qué, Qué?! Transculturación and Tato Laviera’s Spanglish Poetics. New version includes analysis of poet’s recently published poetry collection Mixturao). “tato madera smith.” Co-Authored with Juan Flores and William Luis. Afro Hispanic Review 29.1 (2010): 7-8. “Julieta Campos.” Latin American Women Writers: An Encyclopedia. Routledge Press 2008. 96-98. “¡¿Qué, Qué?! Transculturación and Tato Laviera’s Spanglish Poetics.” CENTRO: Journal of the Center for Puerto Rican Studies. 18.2 (2006): 25-47. Also in Spanglish. Ed. Ilán Stavans. New York: Greenwood Press, 2008. 88-110.
Review of The Puerto Rican Diaspora: Historical Perspectives. Eds. Carmen Teresa Whalen and Víctor Vázquez-Hernández. Journal of Latin American and Caribbean Anthropology. 13.1 (2008): 261-63. “Letter to the Editor: Latino/a Exile Literature.” World Literature Today. 76.3/4 (2002): 74.
Review of Primera Causa/First Cause. Tino Villanueva. Trans. Lisa Horowitz. World Literature Today. 74.2 (2000): 448.